Why not have a lofty goal, right? Well, we did. Ever since Dan was 15, he wanted to kayak the entire east coast of the United States. Once we were married and we had the time, we decided to make that dream a reality. We put our boats in the chilly waters of Lubec, Maine on September 2. 2008. After paddling from Lubec to Portland we stopped for the winter. 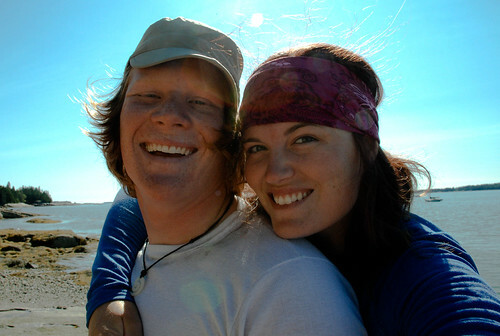 On May 2, 2009 we paddled away from Portland to continue our trip to Key West. We arrived at the Southernmost Point of the Continental United States at 11:00am, December 11, 2009. A lot happened between the two places and you can read all about it here. Feel free to contact us at dbkayak@dbkayak.com with any encouragement or questions you might have and check out the rest of the site!